I was over the moon with the service I received from A1 Solar UK Ltd. Paul came to see me and he was really pleasant, the quote he provided was very professional and there was no pressure to buy. The installation team were so efficient and tidy. The whole service was unbelievably excellent. I would recommend this company, in fact I already have recommended them to two of my neighbours. 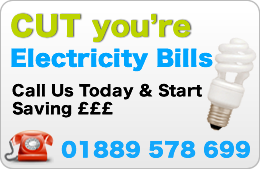 I would give the service I received from A1 Solar UK Ltd 10 out of 10 it was excellent from start to finish. The installation went very well and Karen and Paul took care of everything. After the installation Paul came round personally and helped me with the feed in tariff form. I couldn't fault them and would have no hesitation in recommending them to others. 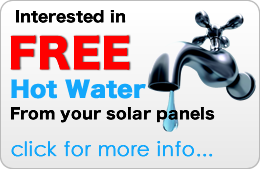 I would happily recommend A1 Solar UK Ltd. The installation was very good and they did everything they said they would do. They arrived exactly on time and finished the installation on time. They cleaned up after they had finished and left no mes at all. Paul was very good he was always happy to help and answered all our questions. Nothing was too much trouble. We are very happy with our installation and the service we revived. We were very happy with our installation; we where satisfied all the way around. We brought the system from Paul and he was very good when we had questions he came back twice and explained everything to us. The installation team were very good, what a set of lovely lads there were no problems at all and everything when smoothly. We where very happy with the serviced we received from A1 Solar. Paul was very interesting and helpful, he was well informed and very friendly. He answered all our questions and not only on solar panels, he helped us with questions about our roof and electrics as well. The installation went very smoothly and we have already recommend A1 Solar to some friends and are using them again for further work.